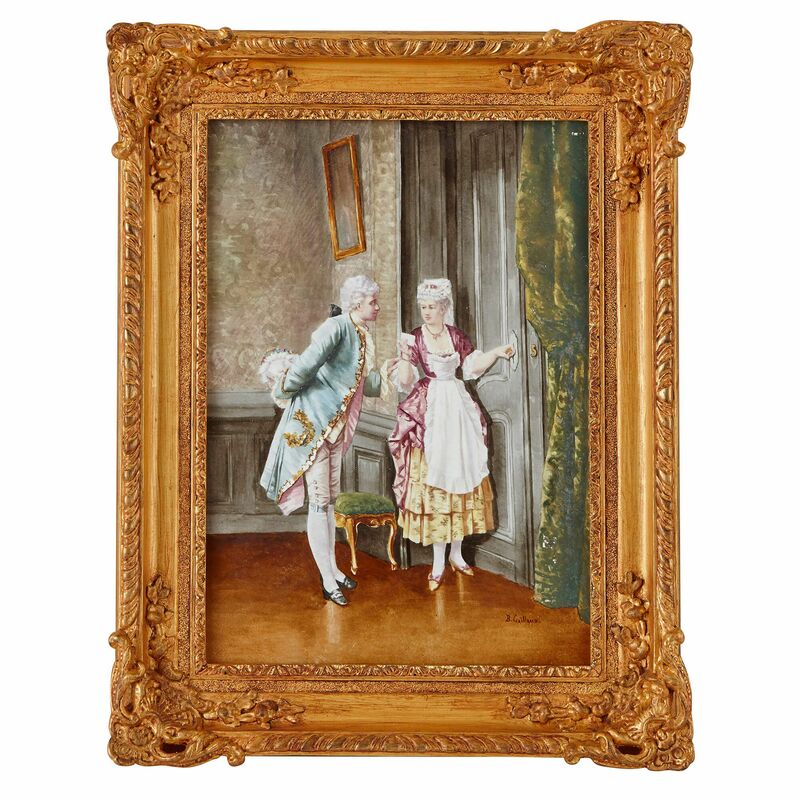 These delicately painted ceramic plaques feature courtship scenes in the lighthearted Rococo style, and charmingly reflect the romance of the period. 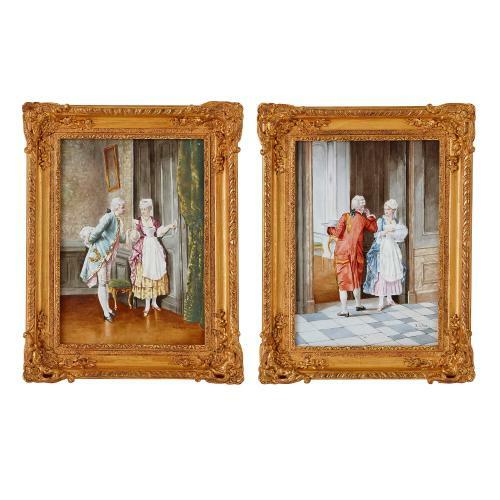 The plaques are of rectangular form, and depict interior scenes of a flirtatious nature with subjects beautifully dressed in the 18th Century style with powdered wigs and frock coats. 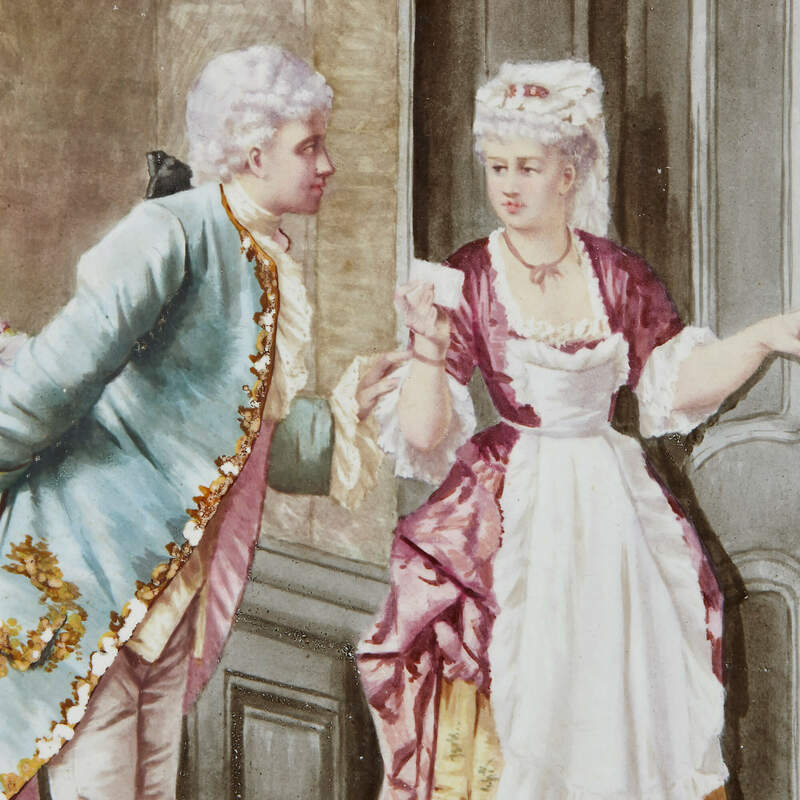 One plaque shows a young woman in a pink and yellow dress taking a letter from a gentleman in a powder-blue coat. 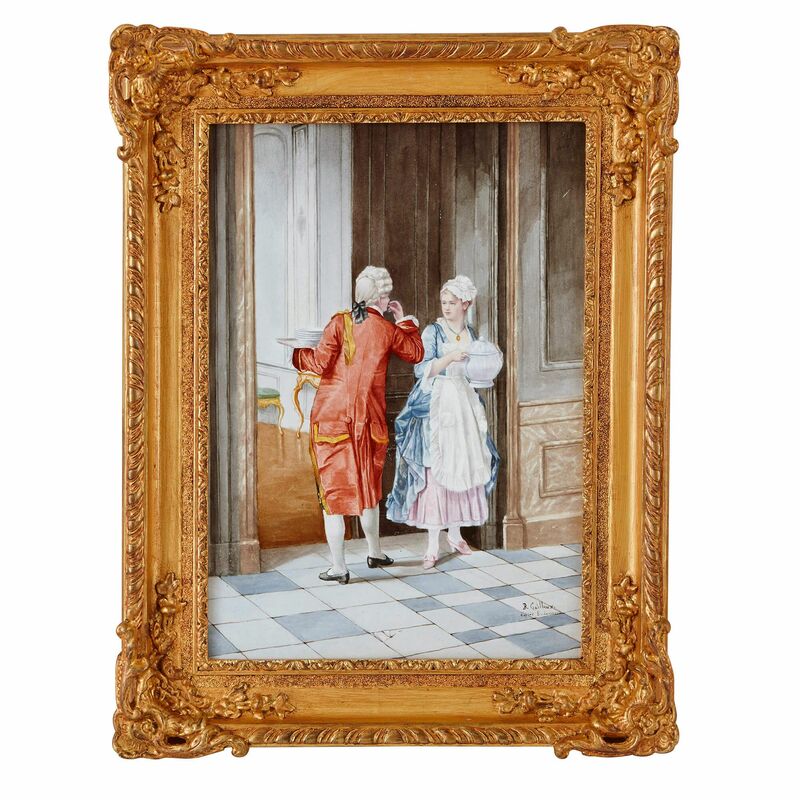 The other plaque shows a maid holding a chamber pot whilst a passing butler, who holds a tray and wears a red coat. 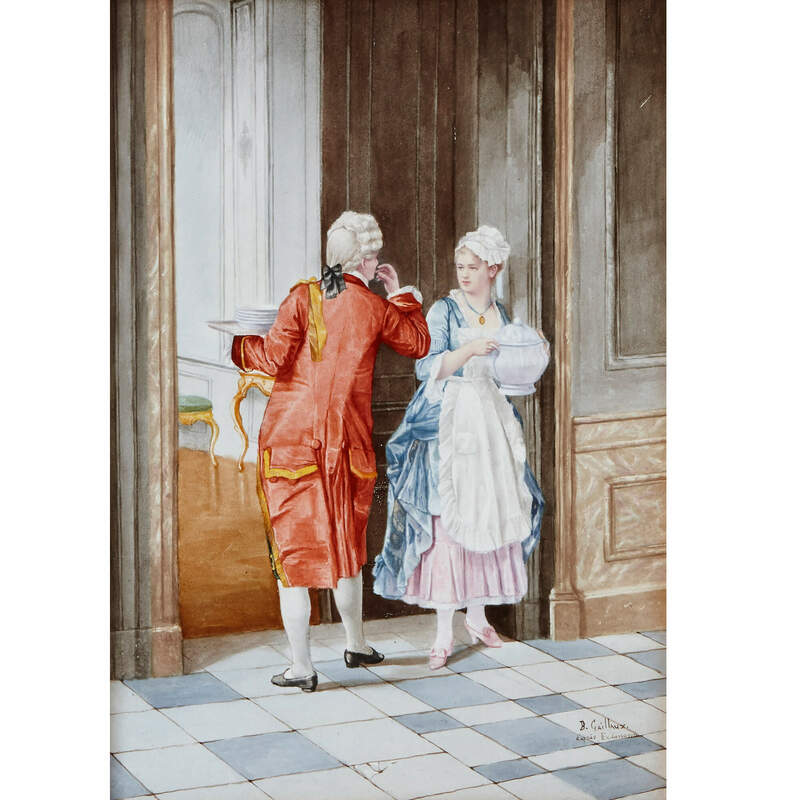 The butler makes a gesture, possibly blowing a kiss in the direction of the maid. 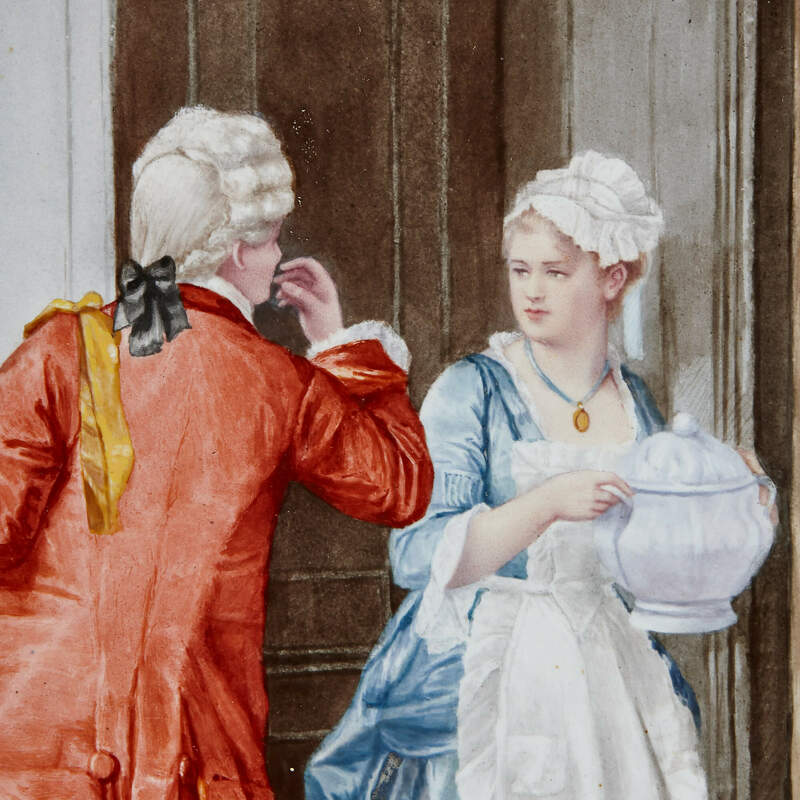 Both scenes are set in the large, sumptuous interiors of a grand house decorated in the Rococo style, and offer a charming insight into the similarities between the life of the inhabitants 'above stairs' and the life of the servants 'below stairs' - suggesting that love is transcendent of social class and wealth. 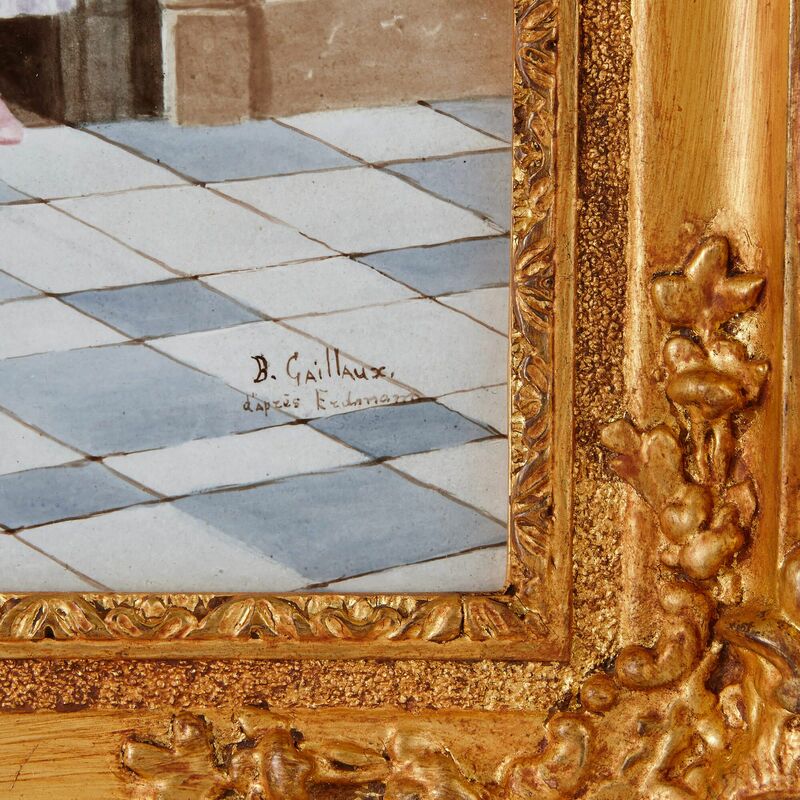 Both plaques are signed by the artist to the lower right 'B. 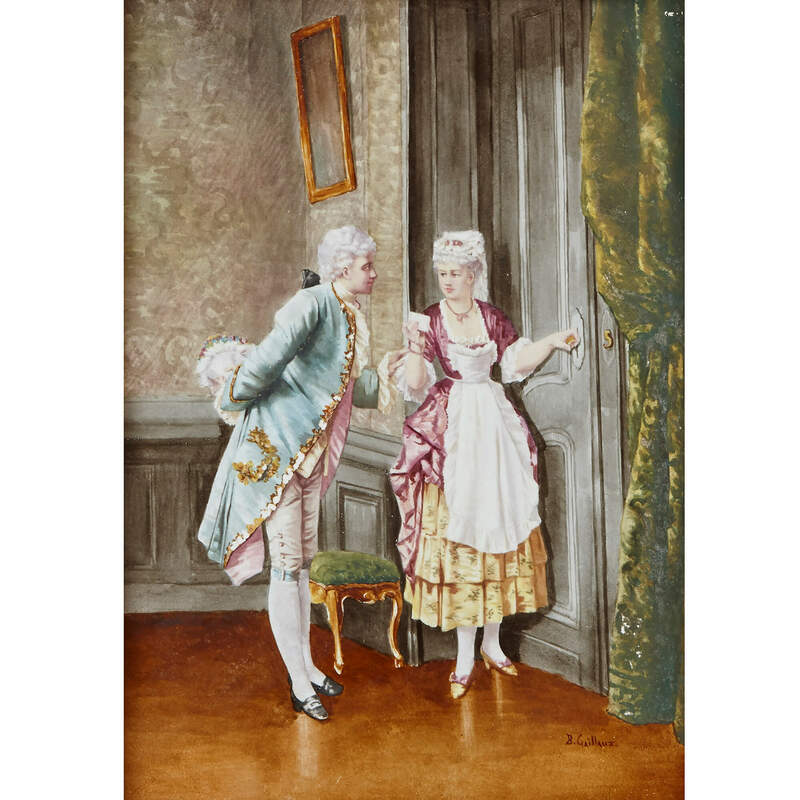 Gaillaux'. 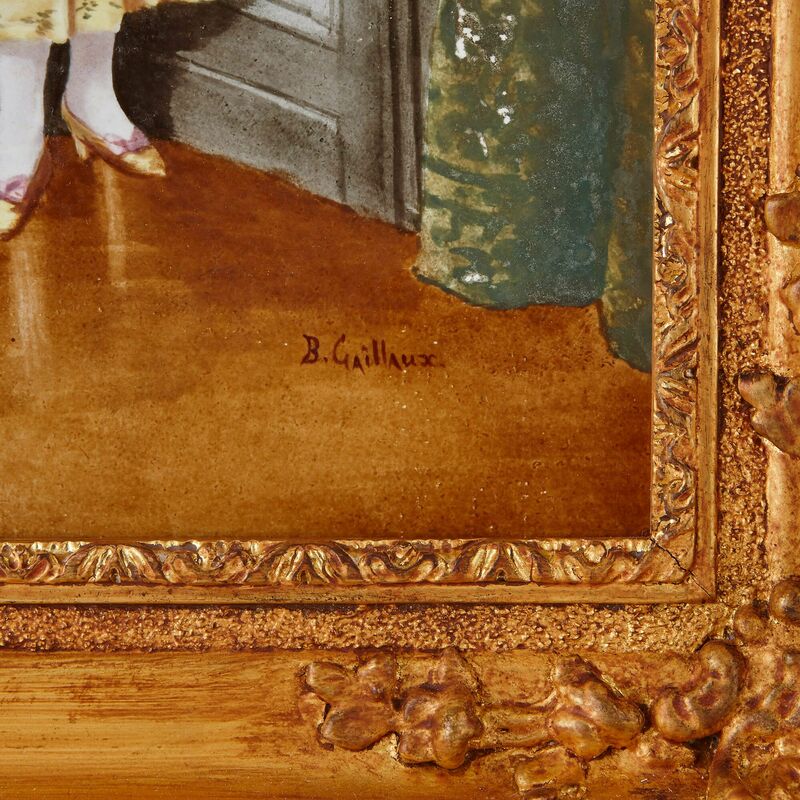 The plaque depicting the servants is also inscribed 'd'Apres Erdmann', presumably after an original painting of the composition.